Ocean acidification is often dubbed the "evil twin" of climate change. As CO2 levels rise, more of it is absorbed by seawater, resulting in a lower pH level and reduced carbonate ion concentration. Marine organisms with skeletons and shells then struggle to develop and maintain their structures. 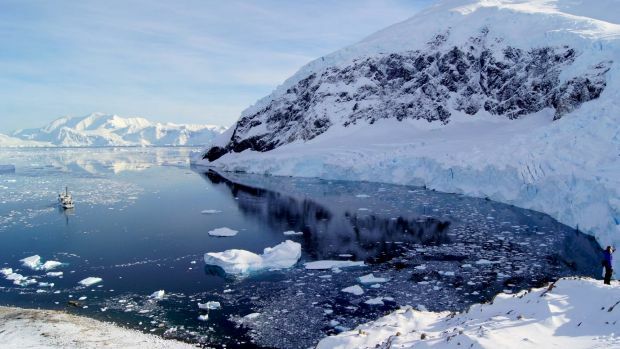 "What surprised us was really the abruptness at which this under-saturation [of calcium carbonate-based aragonite] occurs in large areas of the Southern Ocean," Axel Timmermann​, a co-author of the study and oceanography professor at the University of Hawaii told Fairfax Media. "It's actually quite scary." Since the Southern Ocean is already close to the threshold for shell-formation, relatively small changes in acidity levels will likely show up there first, Professor Timmermann said: "The background state is already very close to corrosiveness." Below a certain pH level, shells of such creatures become more brittle, with implications for fisheries that feed off them since pteropods appear unable to evolve fast enough to cope with the rapidly changing conditions. "For pteropods it may be very difficult because they can't run around without a shell," Professor Timmermann said. "It's not they dissolve immediately but there's a much higher energy requirement for them to form the shells." Given the sheer scale of the marine creatures involved, "take away this biomass, [and] you have avalanche effects for the rest of the food web", he said. As carbon dioxide levels rise, the impacts seen in the Southern Ocean – and its counterpart regions in the northern hemisphere – can be expected to spread closer to the equator. Scientists anticipate that a halt in the increase in greenhouse gases will take time to have an impact on slowing the warming of the planet. However, a faster response can be expected in the oceans to any slowing in the pace of acidification. "The corrosiveness of the water is a very strong function of the atmospheric C02 and there is not much of a delay [to any changes]", Professor Timmermann said. The paper's release comes about four weeks before delegates from almost 200 nations are expected to gather in Paris, France to negotiate a new global treaty to curb carbon emissions.